Our guides are ready to show your group to the best skiing, in the safest manner possible. Whether you are experienced or new to the game, we’re here to help. Even if you are experienced, a guide can significantly enhance your trip by spending an afternoon with the group showing you the best conditions and up tracks. All of our guides are trained in first aid, as well as snow and avalanche rescue. Rest assured you’ll be well taken care of when you book a trip with Hellroaring Powder Guides. When you book a guided trip, we make sure to cover every detail. Your guide will provide breakfast and dinner each day of the trip. Be sure to let us know of any dietary needs or concerns, since each trip is tailored specifically for your group. Guided pricing starts at $150/skier/day. Availability must be confirmed prior to booking. A typical guided day starts with your guide stoking the wood stove one more time to warm everyone up, and getting coffee ready. Breakfast can be hearty pancakes and sausage, or a lighter oatmeal, granola, and yogurt. Once everyone is up and ready, a quick beacon check and snowpack discussion key everyone up for a safe day of navigating in the backcountry. Depending on the group’s ambition level, lunch can be on the go, or followed by a nap at the hut, it’s up to you! Late afternoon sunset tours behind the hut are a fantastic way to end the day just before sitting down to a warm feast for dinner featuring fresh ingredients. 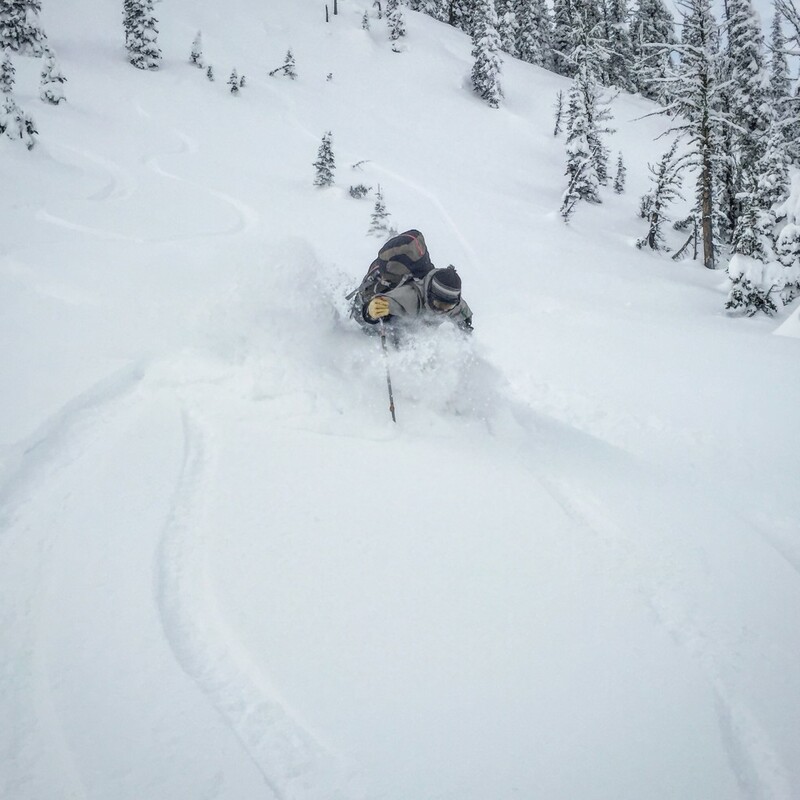 Sam Hansen is the owner and lead guide, and has has been skiing and snowmobiling in the Centennials and surrounding ranges for over 10 years. He is trained as an EMT, Wilderness First Responder in addition to being Level III Avalanche Certified. Sam spends his summers guiding raft trips through Grand Canyon, and currently resides in Idaho Falls ID with his beautiful wife Courtney and their puppy dog "Deets." 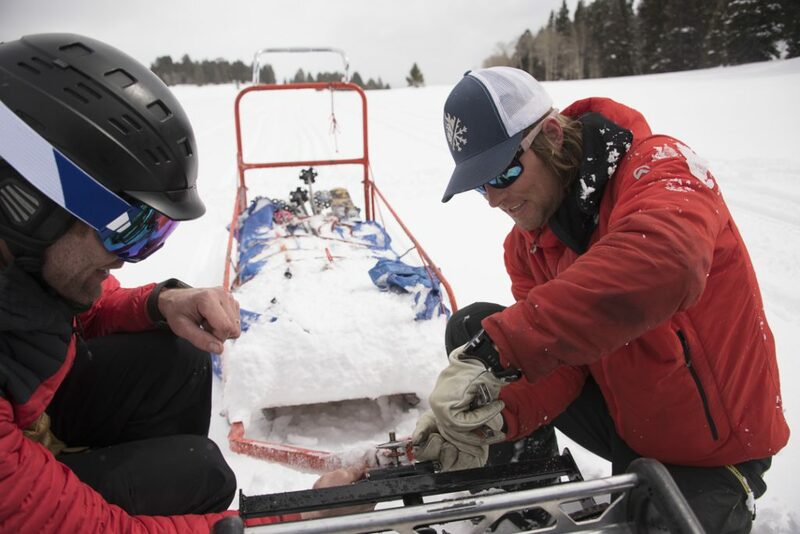 Joshua Carr has been skiing for 32 years and previously taught skiing at Jackson Hole Mountain Resort. 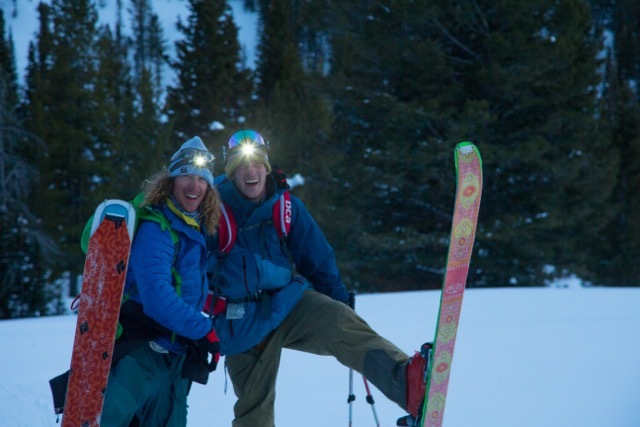 He started backcountry skiing in the Teton Range in 2004. Since then his passion for big mountain lines and untracked powder has only increased. Josh has been with HPG since it's first season. Josh is a Wilderness First Responder and has completed his Avalanche 1, 2 & 3 courses with American Avalanche Institute as well as Winter Weather Forecasting. Josh is an Eagle Scout and avid ski mountaineer. 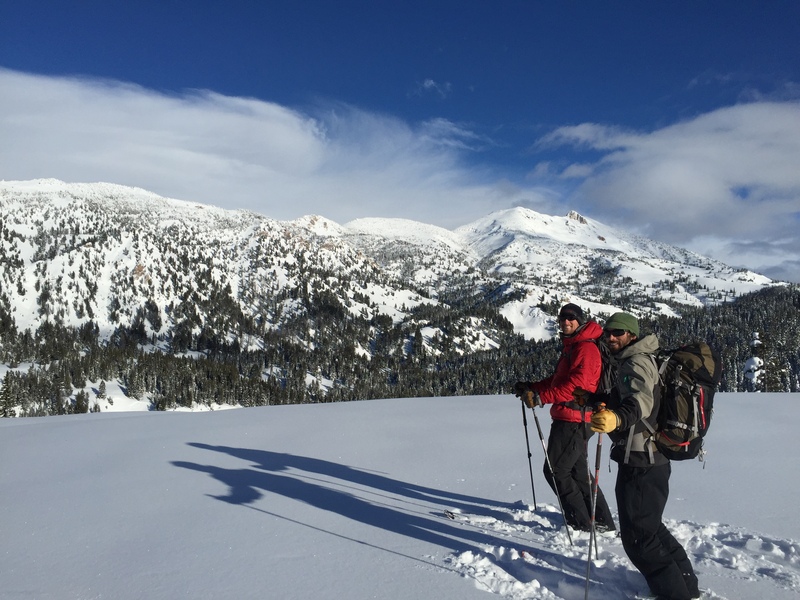 He teaches avalanche education with Yostmark Backcountry Tours when he is not ripping pow turns in the Centennial Range for HPG. Eric Worth lives in Jackson Hole with his wife and dog. He is also trained in First-Aid and avalanche rescue. In the summer months Eric owns and runs his own landscaping business in Jackson Hole. Eric started guiding for Hellroaring in 2015 and is looking forward to another great season in 2016/2017. Matt Standal is new to Hellroaring this year. 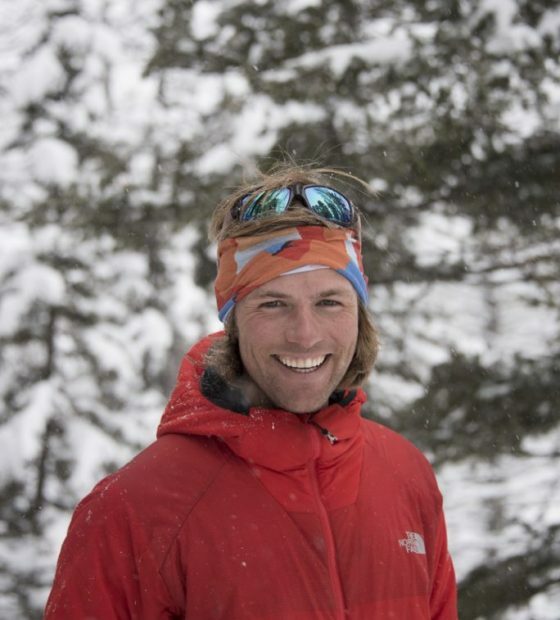 He has experience skiing all over the world and is currently working towards his AMGA certification. Matt is also an experienced photographer, he calls Bozeman, MT home.